Spring allergy is commonly used to refer to hay fever, a seasonal allergic rhinitis attack experienced by more than 35 million Americans every year as the season changes and many allergens start to blossom - during springtime. As pollens scatter and travel through air, people as far as hundreds of miles away unknowingly sniff them, triggering allergic reactions, such as sneezing, coughing, eye and nose irritation and runny nose. Many over-the-counter medications for spring allergies are available at affordable prices. These drugs, nonetheless, can cause several side-effects and unnecessary expenses. Common side-effects include drowsiness, headache and occasional loss of appetite. Why bother experiencing them when there are scientifically proven natural remedies that can aid in fighting spring allergies? You can try the following alternative treatments for safer and effective relief. Garlic: On clinical studies, quercetin, a natural compound found in garlic and onion, is observed to mimic the antihistamine effect of certain drugs. When regularly added to the diet, spring may just pass without causing hassle sniffs. Onion and apple are good sources too. Cayenne pepper: Like garlic, it also contains quercetin that can act as antihistamine. But more than that, it has anti-inflammatory properties that can prevent throat and nasal irritations. Some people prefer using cayenne pepper because the natural heat it produces in the body is said to comfort irritations caused by allergens. Thyme: This herb is proven to be an effective natural expectorant that can relieve phlegm production during the onset of spring allergies. Even some drugs add it to their components for much more effective decongestion benefit. It also has high antimicrobial properties that aids in fighting infections caused by phlegm. To experience its benefits, drink a tea made from fresh thyme twice a day or buy prepared brands that preserve the natural properties of the plant without altering its chemical components. Chamomile: A healthy and delicious drink, chamomile tea can also relieve itchiness and dryness of the eyes. By placing a cold tea bag for five to 10 minutes, you will feel the immediate effects against allergic reaction. Elderberries: This fruit is insanely high in antioxidant content and phytonutrients that are best used against flu. 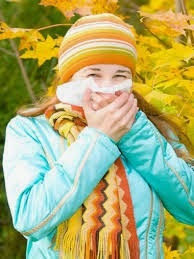 As it strengthens the immune system, it also makes recovery from cold faster. Its anti-inflammatory effects can be experienced by drinking fresh juice or even wine made from real fruits. Chicken soup: Medical experts considered this as a mere hoax until a year ago when a research showed surprising benefits to the recovery rate of subjects experiencing the common cold. Since spring allergy triggers nasal fluid build-up, it is a smart idea to have chicken soup not only on a rainy day but during springtime as well. Neti pot: Oprah considers this product as one of her favorite things because of its fast action against clogged nasal passages due to allergens. Cheap and natural, it safely soothes the passage using sterile water and a dash of salt. Acupuncture: This ancient art of healing is said to relieve swollen nasal passages at a faster rate than some herbs do. Acupuncture is also said to strengthen the immune system; thus, strengthening the body's defense against spring allergies, or any kind of allergy for that matter. Healtone’s Sound therapy is an effective, pocket friendly and the easiest method of curing Allergy. There are number of Sound formulas developed in Healtone’s sound laboratories for curing any kind of allergy ailments. It boosts the positive frequencies and restores the healthy balance of the body.